Bluehole’s shooter brained Dota 2 with a frying pan over the weekend. In a quest to escape its commonly accepted status as a fad, PlayerUnknown’s Battlegrounds has reached a seemingly insurmountable peak. Dethroning the reigning, defending champion Dota 2, PUBG reached 1,322,507 concurrent players early on Saturday, according to SteamSpy. The improbable rise of the jankfest island murder simulator is one of the biggest gaming stories of the year. 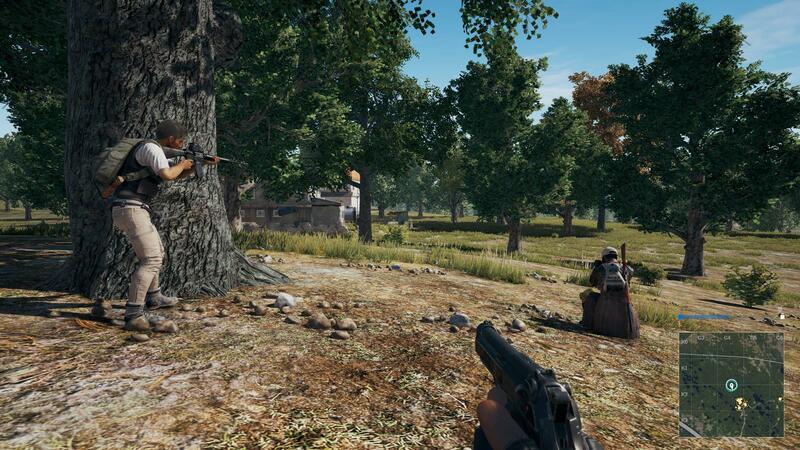 Coming out of nowhere, PUBG has sold more than 10 million copies on PC and continues to dominate sales charts. Its success is expected to expand even more with the exclusive console version release on Xbox this holiday season. Microsoft is so eager to get in on the chicken dinner that they will be publishing the game for the console release. This kind of success never goes unnoticed as other publisher are trying to get a piece of the pie by offering new content for games that promise to offer a similar experience to PUBG. The most recent of these is Fortnite and its recently announced Battle Royale mode. Expect countless copycat clones to start arriving on digital store shelves before the end of next year. For players who have already been sucked into the storm of farming purple skirts and slamming painkillers, check out our guide to getting the best possible performance with your PC while playing PUBG. August 29th, 2018, PUBG becomes self aware. August 30th, 2018: All humans are forced to wear gas masks and go pantless, whenever carrying high-caliber weaponry. I must be broken. I don't really like the game. I realized that Overwatch TDM was a better fit for me. I haven't played it yet but I don't see myself in a situation to play it anytime. It sounds like what I wanted CS:S to become but like, back when I was playing CS:S from 2004-2009. The premise doesn't interest me much now. You should listen to the Shackcast then.